Lisl Klein’s life was a long and remarkable one. With roots in a large, extended Jewish family from Upper Bohemia, Czechoslovakia, the trajectory of her story describes an arc from childhood in the spa town of Karlsbad in the 30s – now Karlovy Vary – to an accomplished career in social science in post war London and beyond. Together with her parents, Emil and Irma, she sought refuge in England after the annexation of the German-Sudetenland. Much of her family failed to get out and perished in Auschwitz. An only child, she was 10 years old when she arrived in London, only shortly to be evacuated soon after to Sussex along with the rest of her school. Among her various billets was one in a grand house with a retired general and his wife. She said her only way of complaining was now and again to kick the furniture! After the war she studied languages at King’s College, London and then became a librarian – which she hated. It was only after taking a gap-filling job as a factory worker (packing pills in the East End of London) that she found her true metier. Lisl discovered the fascinating world of work design and processes and the social organisation that interacts with them. Not to mention the wise and gutsy talk of the women of the East End – a reflection of her Czechoslovakian village history. She was on her way. After a spell as a personnel officer she moved into research and became an expert in industrial organisation and a distinguished social scientist with a central concern about the practical use and application of the social sciences. 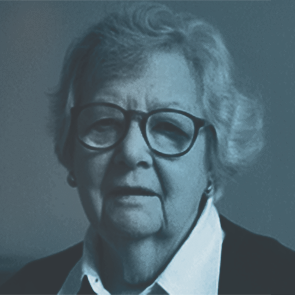 Lisl was a pioneering social sciences advisor at Esso Petroleum, before moving to the Tavistock Institute of Human Relations where she remained for nearly 20 years. Among her many assignments there, she was a researcher in the German government’s programme “Humanising Life at Work”. Her departure from the Tavistock was very painful and spurred her on to found the Bayswater Institute-still alive today. Indeed she always described herself as being “institutional” as a researcher – referring to the value and pleasure she got from collaborative work. Her aunt, Fanni Blatny, who became a Social Democrat MP in the Czech parliament from its beginning in 1918, who although painfully shy and reticent showed what a woman could do. From her Lisl got her moral compass. Thirdly, there was Harold Bridger, the distinguished psychoanalyst and organisational consultant, among the many roles he took, Harold was a founding member of the Tavistock Institute and the first Director of the Leicester Conferences. After attending as a member of the Conference, she wrote to Harold challenging some of the staff ” pronunciamentos “. Harold graciously accepted her criticisms. It is not by chance that he later transferred his own Working Conference design to the Bayswater Institute. Two of the books she wrote – “Working across the Gap” (Karnac, 2005) and “The Meaning of Work” (Karnac, 2008) give an account of more than forty years action research and organisational consultations. They are an invaluable example of her capacity to apply social science to work organisation. Her deep knowledge of a variety of work situations helped her question the normative aspects of organisational development theories and practices. She contested the missionary zeal to change people and their organisations and the sometimes highly authoritarian way so-called “Democratic Management” and “Participative Job Design” were introduced. “If change is needed”, she insisted, “there needs to be a good deal of diagnosis and collaborative work before one can be confident about what kind of change and in what direction”. A very insightful analyst, then, who was suspicious of quick fixes. She was, above all, a very original action-researcher who used all sorts of transitional devices. Her tracer study of “Poor Old Henry’s” (a fictitious patient) imaginary day at a London hospital being used to aid integrating working practices in the different departments he attended, comes to mind. If she was not easy to work with at times, it was because of the strength of her convictions. However, her sharp humour was always available to communicate complex issues. She said: “Institution building was a bit like cooking – a bit more of this, a bit less of that; now stir, leave to simmer..separate, amalgamate, shape and mix”. Lisl always insisted on the need to include a psychoanalytical perspective into her theoretical position, but she rightly challenged its hegemonic tendencies. As a pseudo- naive adept of psychoanalysis she reckoned “I can only cope with one concept per year!” She would always underline the need to be familiar with concrete work situations and work analysis in order to avoid wild interpretations. Until the end of her life then, she remained a deep believer in the socio-technical approach and was one of its (few) eminent representatives. Finally, a twist of fate. When, in 1990 she returned to Karlovy Vary for the first time in over fifty years she knew her Uncle Alois had owned two hotels there, the Richmond and the Atlantic. They had been seized first in 1938 by the Nazis because he was a Jew, and returned to him after the war; but then in 1948 by the Communists because he was a capitalist. As the sole surviving beneficiary under his will by 1990 she inherited his estate under the restitution law brought in under Vaclav Havel. The sale of the hotels provided the financial basis for the Alois Klein Foundation which for twenty years was the main support for the Bayswater Institute as well as assisting the studies of young Czechs. Trust Lisl to fight for the underdog. With her exceptional organisational expertise, strong character, and great sense of humour, she will remain one of the pre-eminent social scientists of the organisational world.